Here at LATICRETE we love to see your artistic side, so we are holding a Mosaic Art Photo Competition, which will see the 10 best artworks* win an amazing prize to celebrate your efforts! 2. SHARE a photo of your recent mosaic piece on Instagram. 3. 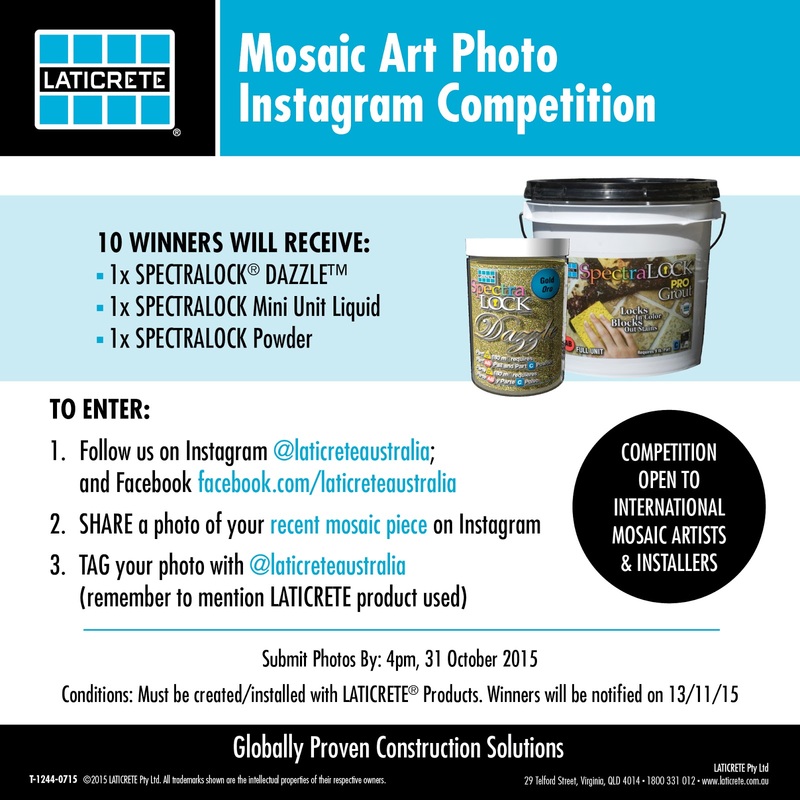 TAG your photo with @laticreteaustralia, and remember to mention what LATICRETE products you used. Submit your photos by 4pm on October 31st 2015 and the winners will be notified on November 13th 2015. One of the LATICRETE Training Facilities in the USA has a beautiful new floor thanks to our SPARTACOTE® Concrete Coating Systems. LATICRETE work closely with facility managers and architects to specify highly durable and sustainable coating solutions for a range of applications, offering expert consultation from design through completion. Several years of close coordination between formulators and field applicators has brought about some of the most dynamic concrete floor coatings available today. These efforts continue today and ensure that every product installed has been proven time and time again in real-life applications. 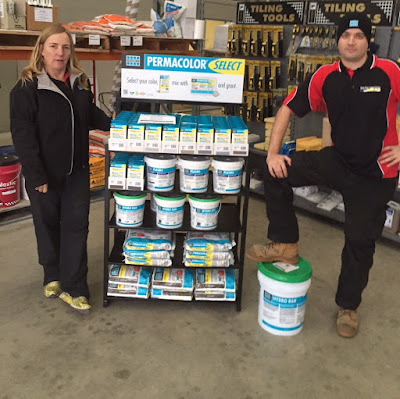 For more info on SPARTACOTE and the full range of Concrete Coating Systems available click here. We have some more sneaky pics of the exciting new LATICRETE product being released in the near future! Looks like it is leaving a great impression in the field trials...I wonder what this new product could be?? LATICRETE QLD Architectural Specialist, Kathleen Jenkinson, paid a visit to Tony Maher and the team at Concord Industrial Coatings to discuss L&M Construction Chemicals and architectural specifications. Our Architectural Specialists and Technical Support Teams are available to provide system design assistance, specifications and details. On-site pre-installation consultation and training. 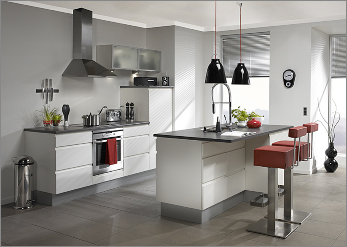 We prepare customised architectural specifications for specific projects and specific tiles. The LATICRETE Architectural Guidebook also includes an industry reference section that allows users to reference appropriate codes, national and international standards for virtually all tile and stone applications. Contact your LATICRETE Architectural Specialists or Technical Support Teams on 1800 331 012. Or email us here to discuss your next project, customised specifications or to arrange a meeting. 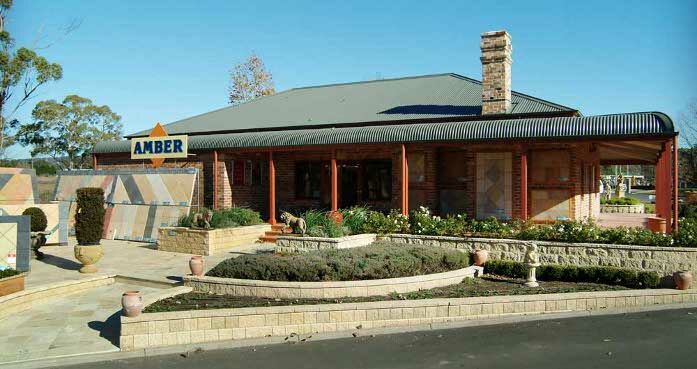 LATICRETE will be at Amber Southern Highlands on Wednesday 12th of August for an Educational Demo and Brekky from 7am and we would love you to come join the fun! *Want a rebate on your next LATICRETE purchase?! Chat with Craig for more details at the event. 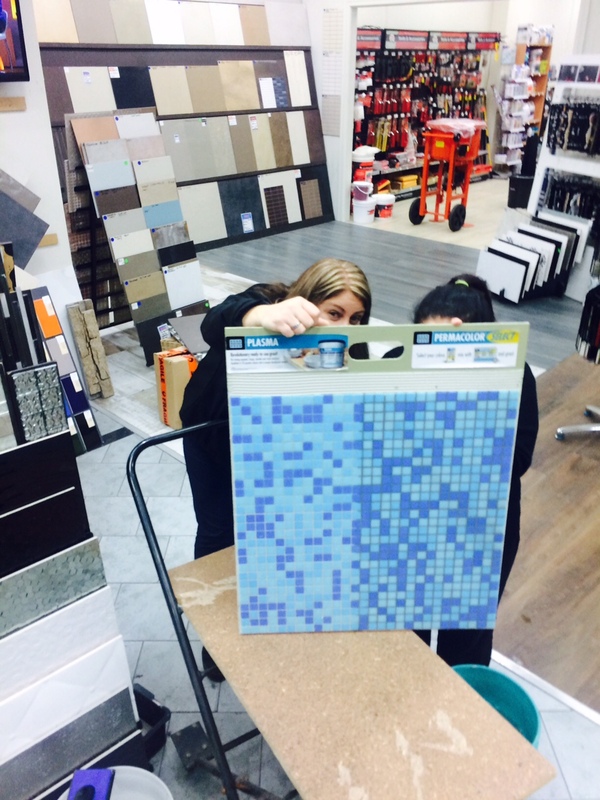 Lachlan Loves the Grout Colour Chart! Linda from Amber Seaforth showed off her gorgeous new Granddaughter, Amelia, looking stylish in her LATICRETE play suit and her Grandson, Lachlan, enjoying learning the range of LATICRETE grout colours. "Here's a few photos of my Granddaughter Amelia in her Laticrete play suit! I had forgotten just how hard it is to take photos of kids! Ps. 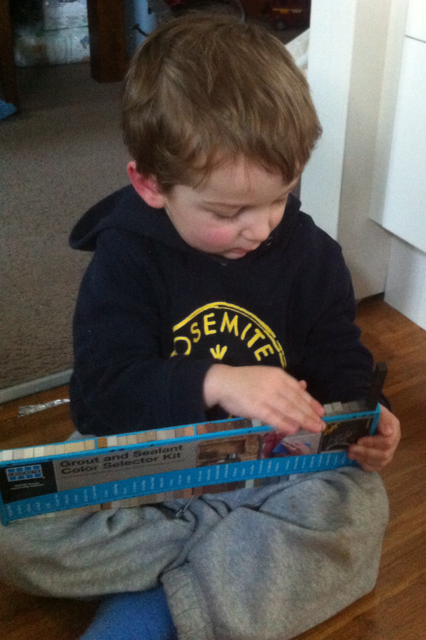 Lachlan wouldn't put his tshirt on, so managed to get some photos of him playing with grout chart. Kids!" LATICRETE QLD Technical Sales Rep, Warren Miller, provided in depth technical presentation at the TAFE Queensland SkillTech showcasing the new grout technology - PERMACOLOR Select®. The team had the opportunity to get their hands dirty with demos and training using the revolutionary grout. PERMACOLOR Select is an advanced high performance cement grout that offers the industry’s first dispersible dry pigment solution. PERMACOLOR Select is designed for virtually all types of residential and commercial installations and offers optimum performance on the most demanding exterior or interior applications. For more information click here. At LATICRETE we offer training and classes that discuss commercial, residential, industrial tile and stone installation practices and industry standards. Our experienced faculty utilises both classroom instruction and hands-on product demonstrations. Have you ever wanted to chat with one of our Technical Sales Representatives face to face? Then this is your chance - one of our LATICRETE Technical Sales Reps will be in Adelaide from Wednesday 5th August - 7th of August 2015. This will be a great opportunity to have your queries regarding tile & stone installation systems answered, as well as gain valuable knowledge about LATICRETE products that are designed to increase productivity and profitability! Interested in becoming a LATICRETE Stockist? Chat with us about becoming a LATICRETE stockist, customised specifications, LATICRETE installation Systems and Warranties, by contacting us on 1800 331 012 to setup an appointment or email us here. All stocked up on the new display stand! Bella Tiles at Ocean Grove show off their awesome new PERMACOLOR® Select Colour Kit Rack they got when taking up the great July Promo offer! All they had to do was buy a selected range of LATICRETE products and now they have an awesome LATICRETE display rack for their shop floor. Looking good guys. But that's not all that Bella Tiles got FREE!! Check out the details for our July *Tile Shop Promo here. 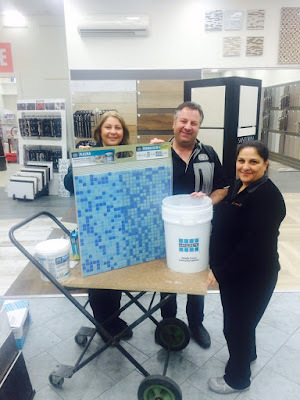 What about a Tilers Promo?! Yip - we have you covered with our great *July Tiler Promo. 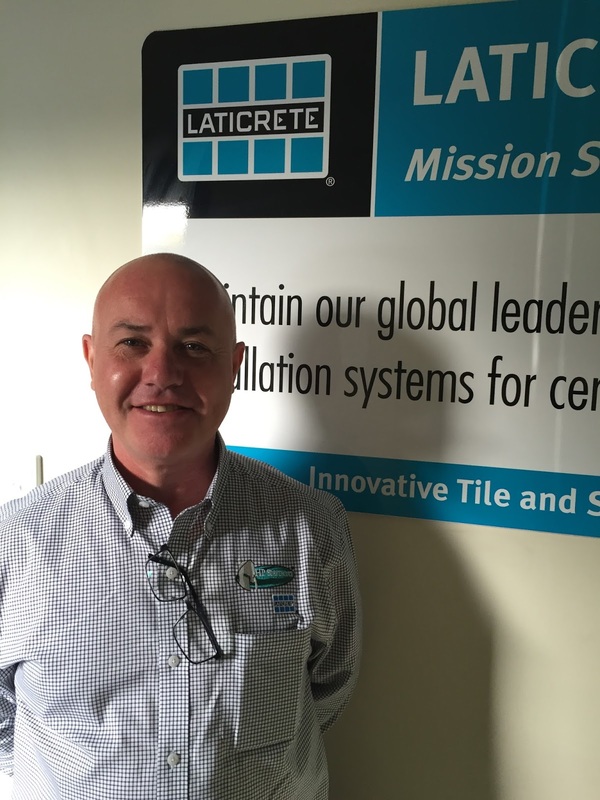 We are excited to announce the appointment of Neil Warden as the LATICRETE Australia National Specialty Products Division Sales Manager. Neil has been in sales, specification and business development roles for 19 years, predominantly in the flooring, coatings, architectural, and construction & building sectors. Neil brings global experience having worked in several overseas markets. “Neil Warden is a Fitter and Turner by trade, having completed his apprenticeship and studied mechanical Engineering after school. Neil has six years sales management experience with a further thirteen years in Business Development and Management roles with technical and specification sales to the construction, architectural and trade sectors, specialising in the flooring, coating and building sectors. This makes Neil a perfect fit for the LATICRETE team” according to Emma Tschannen. As the National SPD Sales Manager, Neil will focus on developing sales strategies and formulating business plans, building and driving the Specialty Products Division forward in Australia DRYTEK®, L&M Construction Chemicals, Inc., SPARTACOTE®, SUPERCAP® and MVIS™. Neil was born in Aberdeen Scotland. Neil and his wife Terri moved from St. Albans near London, England, United Kingdom in 1991 to Brisbane, Australia. They have 4 teenage children and 2 dogs. Hobbies include all sports, mainly English Premier League, traveling, reading and DIY projects in his spare time on their acreage in Karalee, Ipswich QLD. We wish Neil every bit of happiness and welcome him to the LatiFamily. 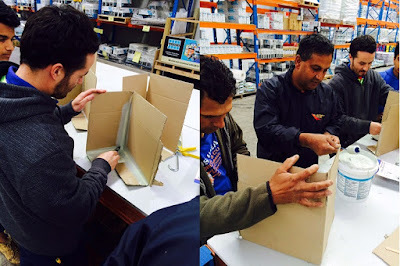 The team at AVJ Ceramics, Dandenong VIC, enjoyed their visit from Alex Kralefski, LATICRETE VIC Technical Sales Rep, who demonstrated some of the newest products from LATICRETE - PLASMA™ grout and PERMACOLOR® Select. In the above photo, on the left side of the board is PLASMA in a translucent colour. PERMACOLOR Select has been used on the right side of the demo board. The team loved the out come. "Loved the different effects a grout line could make to a tiling piece. Looks so different, yet the same tile was used". Jack Boyd Pools used LATICRETE pool installation systems to create this impressive pool located in Noosaville, Qld. Mitchell Haw, LATICRETE QLD Technical Sales Rep, was on the job site and captured some pics of the amazing work at hand! 3701 Fortified Mortar Bed - A polymer fortified blend of carefully selected polymers, Portland cement and graded aggregates that does not require the use of latex admix, you only need to add water. 4237 Rapid Latex Additive (with 211 Crete Filler Powder) - A specially designed latex additive for use with 211 Crete Filler Powder to make high strength latex thin bed and medium bed adhesive up to 15 mm. Got a pool project in mind? Check out the LATICRETE Pool, Spa and Fountain Tiling System Brochure. For more information on LATICRETE products, to discuss your next project, for technical support or to arrange a demo, call 1800 331 012 or contact us here. LATICRETE will be at Bella Tiles Ocean Grove on Thursday 23rd of July for a Trade Event and sausage sizzle from 4pm and we would love you to come join the fun! This event is a great opportunity to chat with your local Technical Sales Rep, Nick Collett, about LATICRETE products that help you save time and money. •Want a rebate on your next LATICRETE purchase?! Chat with Nick for more details at the event. LATICRETE VIC Technical Sales Rep, Alex Kralefski, sent us some pics from the latest waterproofing training course. Participants had the opportunity to learn more about the waterproofing system offered by LATICRETE and gain hands-on experience with LATICRETE products. At LATICRETE we offer training and classes that discuss commercial, residential, industrial tile and stone installation practices and industry standards. Experienced faculty utilises both classroom instruction and hands-on product demonstrations. To view the scheduled dates for upcoming courses, click here. Are you interested in expanding your knowledge of the tile and stone industry? 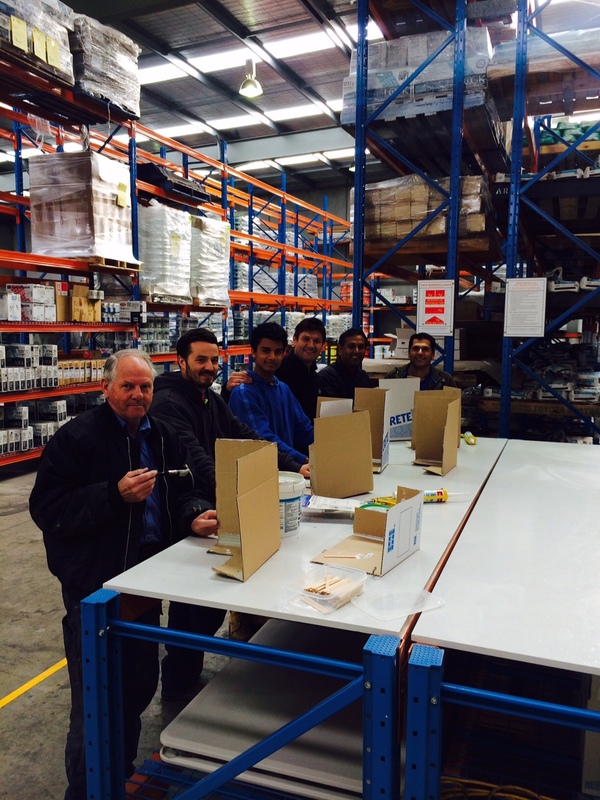 Call us to arrange a demo/training session or your FREE sample by calling 1800 331 012 or contact us here. 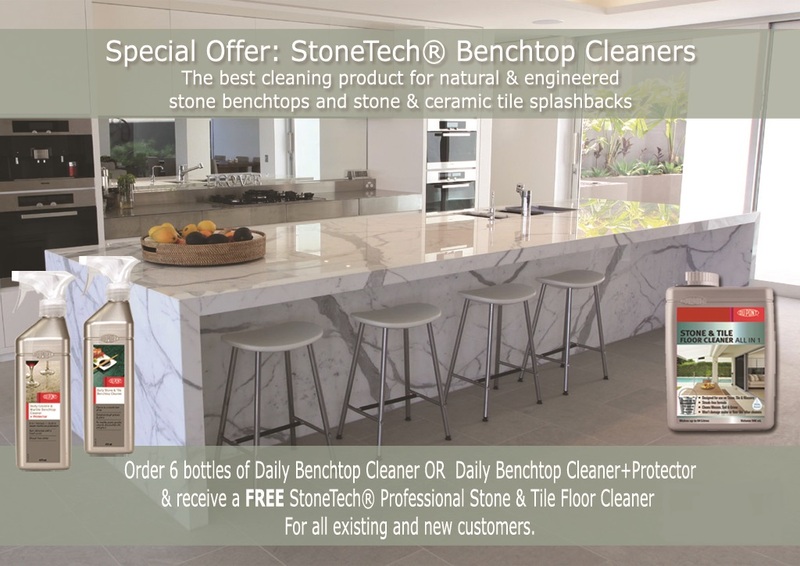 The STONETECH® Professional product line of stone, tile and masonry care products are innovative, easy-to-use solutions to protect and preserve stone against the damaging effects of everyday living. 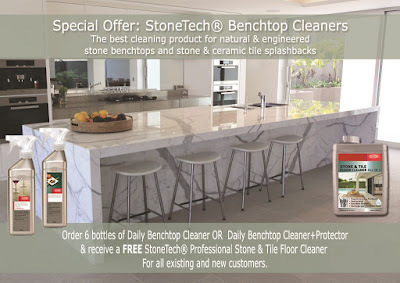 With a complete line of products to protect, clean and transform stone surfaces, STONETECH ensures the beauty of natural stone and tile countertops, floors, walls and other installations for generations to come. Now's your chance to get a great deal on these amazing products - to find out more click here. 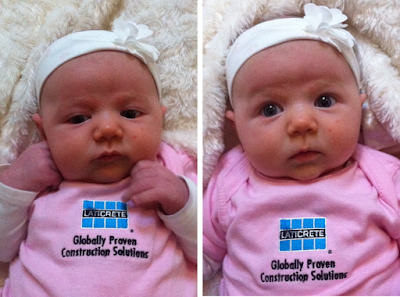 LATICRETE QLD Technical Sales Rep, Mitchell Haw, has introduced his little one to the LATICRETE way of life, and it seems he's taken it in his stride - or crawl! Little Elijah looks like he's having a bucket of fun and we're sure he will be following in his Dad's footsteps in no time! Sandy Robertson from OzMosaics has created a beautiful shrine, "Ukrainian Catholic Shrine of the Protection of the Mother of God", at the Marian Valley, Canungra QLD. 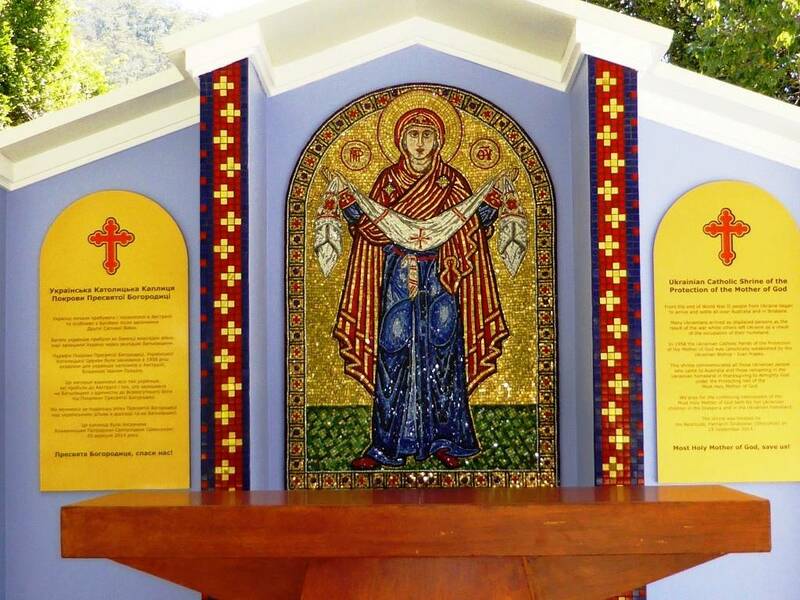 "I worked closely with the client and an incredible icon painter who spent many hours with me to bring their mosaic vision to fruition. It opened my eyes to the Icon intricacies and every detail is so important. It was an education to both of us across mosaics and Icon painting/mosaics. I use LATICRETE products exclusively in my workshops as I know the mosaics will last the distance and every mosaic needs the professional touch. 335 Premium Flexible Adhesive, 4237 system, epoxy paste, and sanded grout are pushed to their artistic limits and at the moment I am exploring the new system of grouts for contemporary mosaic effects. Of course HYDRO BAN is a must for the best pre-sealer a mosaic can have. Plasma was perfect for the face and halo. Thank you again Laticrete for the perfect products and technical advice, for this beautiful mosaic project." To see more of Sandy's mosaic art and OzMosaics head to the website or contact Sandy here.